HEKARI United should be applauded for making it possible for a second team to enter the OFC champion League. Franchise owner John Kapi Natto, pictured, made this comment in response to various commentators regarding the Lae City Dwellers entry into regional club championships. Kapi Natto said this was the first time in PNG football history to have two champion clubs taking part in the OFC champion League. Hekari did not make the finals after 10 years of dominance finishing third in 2014-2015 National Soccer League season. 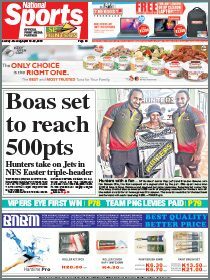 “The Southern Highlands franchise had been the NSL champion for 10 years and the Lae City Dwellers are winners of the 2014-2015 season,” Kapi Natto said. He said fans should be thankful and acknowledge the sponsors, the hardworking team management and players of Hekari who made it possible for a second team to enter the OFC champion league. 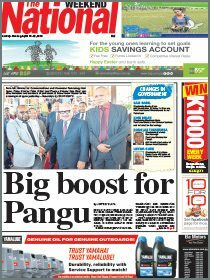 He said the reality of what had happened in Fiji, had Hekari lost all their matches, Lae City would not have become the second PNG team in the OFC competition. Kapi Natto said the Dwellers’ lethal duo Raymond Gunemba and Nigel Dabinyaba had spent time in the Hekari set up and had benefited form it.